GloCAL is the official student society in the Centre for Applied Linguistics. Our fun, welcoming society gives members the opportunity to mingle with their peers whilst also interacting with the department for academic and career advice. GloCAL Society promotes talks, debates, and other educational events as well as regular socials on and off campus where you can meet like-minded people and have a laugh while you're at it. We organise trips to SU Union events, movie nights and a Spring Ball (that sold-out last year!). As an integral part of the department, we help organise activities and offer opportunities to be involved in projects being run; these projects range from research and conferences, to trips and socials. We have established a mentor scheme for First Years to have one-on-one support with a peer from other years. We are also running a buddy scheme to help freshers with their transition into university run as smoothly as possible. GloCAL runs a termly newspaper which keeps you updated with the events that we run throughout the year – we are open for submissions! Bringing together the academic and the social, GloCAL focuses on both local and global issues around the world and gives students the opportunity to discuss them with peers in a stress-free environment. 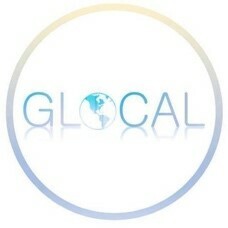 We'd love you to get involved, join our GloCAL Facebook page to find out more. GloCAL has successfully introduced a termly newsletter with articles written by people in the department. The newsletter also includes recommended journal articles and keeps you up to date on upcoming socials. Have a look below at our recent newsletters.